Koei Tecmo has dropped us a new trailer and details for Dynasty Warriors 9, which is less than a month away now, and we’re so very excited about this. In addition, the company has shared some more information about what you’ll get up to while playing. In addition to participating in battles across ancient China, on a giant open-world map, in Dynasty Warriors 9 you’ll be able to fight against elite level enemies for materials, and then use those materials to either cook yourself delicious meals (giving your character a boost for a while afterwards), and craft new equipment and weapons. In addition, the horses, which have always been part of the Dynasty Warriors experience, will play a bigger role than ever this time around. They’ll level up, gain new skills, and become ever more useful in battles as you ride them and fight from horseback. So Dynasty Warriors 9 becomes one of the rare games where there are horse RPG — HRPG! — elements. Okay, that’s not a great joke, but we really are looking forward to this game a great deal. Scribblenauts is returning! Scribblenauts is returning! Using their own customised Scribblenaut avatar, players can compete in Showdown and Versus modes or experiment in Sandbox mode. Scribblenauts is all about deciding which of the 30,000 words best suit any given situation. Showdown mode features board game/card-based gameplay and mini-games; in Wordy mini-games the point is to choose the best object, but in Speedy mode it’s whoever completes the task first that takes it. Versus mode removes the board/card aspects and shuffles all mini-games into a random, never-ending battle. Sandbox mode is what fans of the series will recognize, although there are apparently only eight new levels — I find that worrying. With the focus clearly being on multiplayer action, it’s yet to be seen how Scribblenauts adapts from its DS beginnings to current-gen, controller-driven platforms. Scribblenauts Showdown arrives in North America on March 6 and Europe on March 9; it will be launched on PlayStation 4, Switch (where I expect it to shine the brightest), and Xbox One. The Warhammer 40K franchise is so dark. So, so dark. It’s a brutal science fiction world of endless conflict and desperate battles against endless tides of pure horror. Luckily, that makes for some compelling game settings indeed. Warhammer 40,000 Inquisitor - Martyr is an action RPG that can be played both in single player, and multiplayer for up to four players. Developed by NeocoreGames, it has a Diablo-like top-down perspective, destructible environments, brutal, fast-paced action, and the Early Access version of the game on PC has been received pretty well by the community — it has a 75% overall positive rating. I’m still anxiously waiting for the Final Fantasy XV mobile title — the proper one, not that crappy fortress game available now — but Square Enix continues to push the Final Fantasy brand into F2P territory with Dissidia Final Fantasy Opera Omnia. It was fun at first, with Brave Exvius and the like. But now it’s getting so. old. And here we are again. Opera Omnia allows players to form parties of their favourite Final Fantasy characters. This is common for not only the Dissidia sub-brand but also for all the other F2P Square Enix titles available. 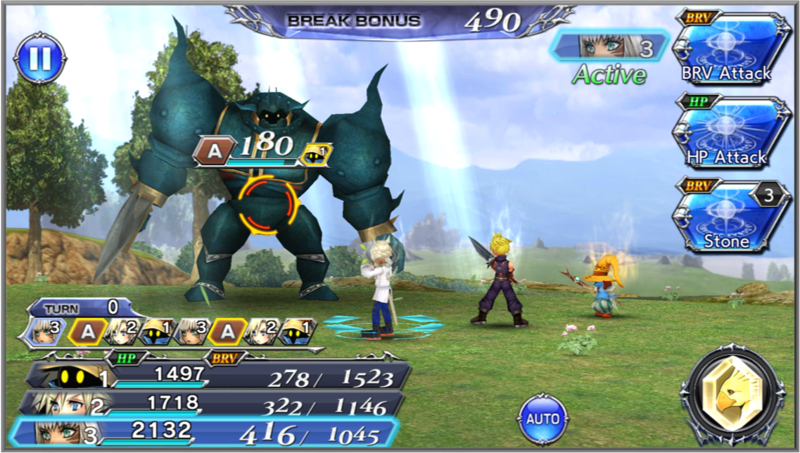 There’s a story unique to Opera Omnia, and a new system where Bravery is built by using special attacks and released just when the time is right. The title will be released for iOS and Android mobile devices. The release date is “coming soon,” so I would expect to see it in the next few months. In the meantime, Square Enix, I beg of you: stop the F2P crap. The games were okay at first, but now each seems redundant.